RV "Sabvabaa" will mostly use Isfjorden as transit route to the ice covered areas further north. An AIS system would thus be of limited value - there are no other vessels around. There are several solutons. We can either acquire a unit that performs this task, or have one of our Iridium 9505A handsets, connected to computers via Data Kit (RS-232), transmit position information. Report from testing of this unit. 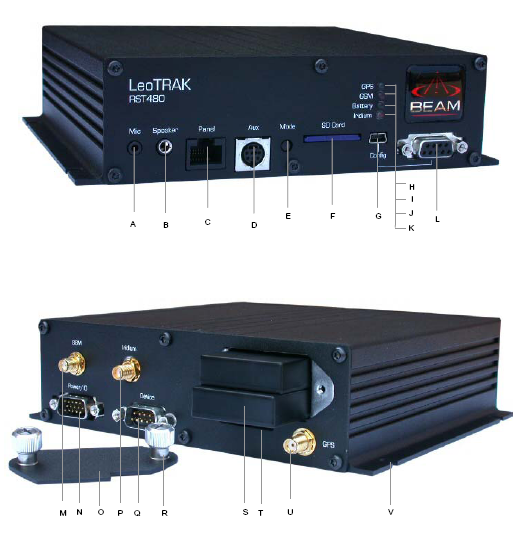 LeoTRAK RST470 manufactured by Beam Communications, furnished with it's own GPS receiver. This unit could be programmed to transmit information at user defined intervals, and sleeps in between. It also has has a panic button feature. 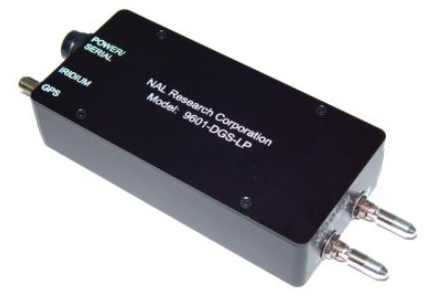 The RST470 uses Iridium Short Burst Data (SBD) service. The SBD telegrams must be retrieved from Iridum servers (as emails) at regular intervals, parsed and the information must then be used to generate web based map. First we have to be able to control the 9505A via the RS-232 based Data Kit. After some struggle with the special PDU format required, we managed to transmit SMS messages with the 9505A from a PC. Prototype software was written in Python. Press the Envelope Key on the 9505 handset. Use the Scroll Key to select the ‘Message Settings’ option. Press OK.
Use the Scroll Key to select the ‘Service Centre’ option. Press OK. The phone will momentarily display “Completed”. This procedure is valid only for Satellite Series 9505 handsets that have the current software version, which is LAC0307. To determine the software version of any 9505 handset, go to the initial screen and press *#91#. The following software for 9505 handsets has been released in the past: LAC0103, LAC0105, LAC0107, and LAC109G (the most common version). 9505 handsets with older software can be reflashed by your Iridium service provider. Only one reflash is required; it is not necessary to incrementally reflash, i.e., reflash from LAC0107 to LAC109G then finally to LAC0307. Global Mapper has a GPS tracking input option, where vessel position can be kept in map center. 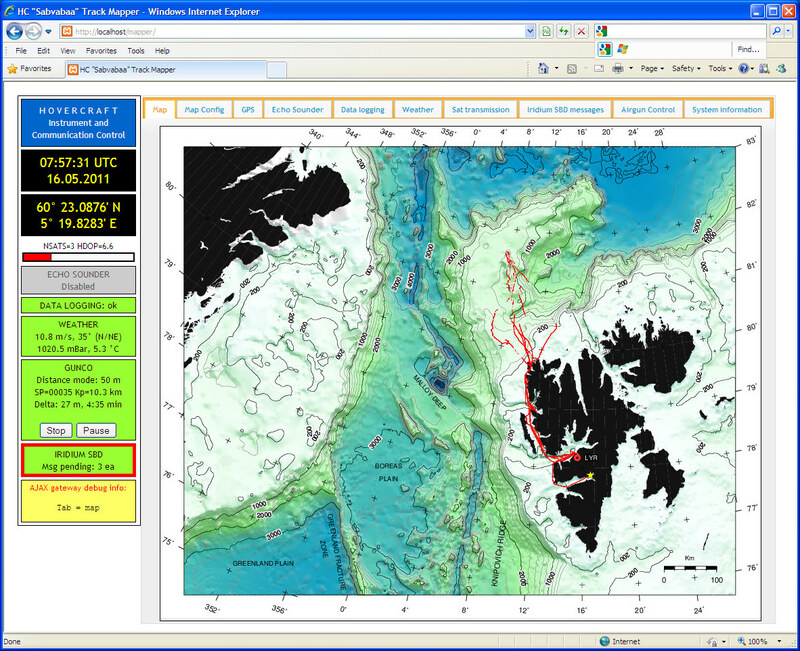 IBCAO can be used for bathymetry. It is, however, difficult to set the desired bathymetry appearence, and also to plot vessel trackline the way we want. So we will first attempt to use Generic Mapping Tools (GMT) for this task.